Dermatologists are kicking sand in the face of two reports that claim two common sunscreen ingredients aren’t safe for use. The Environmental Working Group along with the influential consumer magazine, Consumer Reports, both recently released ratings of the best and worst sunscreen on the markets. And both warned that many sunscreens contain dangerous ingredients. But dermatologists say the worries are overblown. “The problem (with these reports) is they get people scared about using sun protection,” Dr. Lisa Kellett tells CTV.ca. 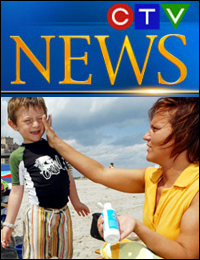 The Environmental Working Group warns that many sunblocks are “filled with problematic ingredients, unsubstantiated marketing claims and lack-luster protection.” The group advised that consumers avoid products that contain retinyl palmitate, a vitamin A derivative that isn’t a sunblock but is often added to sunscreens as an antioxidant and to prevent skin aging. EWG says rather than protecting the skin, studies suggest the ingredient might actually increase the risk of skin cancer. Consumer Reports also warned that almost every product it tested contained ingredients linked to “adverse health effects in animal studies.” It, too, singled out retinyl palmitate. “As a precaution, pregnant women might want to choose sunscreens without the ingredient,” the magazine recommended. But the American Academy of Dermatology was quick to issue a response to say the reports are wrong, and that sunscreens contain ingredients that are safe and effective. It said there have been no reliable studies conducted on humans that have found any problems with retinyl palmitate. The only studies that have raised worries have either been conducted in vitro (in test tubes) or on mice. Topical and oral retinoids (vitamin A products) are commonly prescribed to treat a number of skin diseases, such as acne and psoriasis, and, the AAD added, oral retinoids are often used to prevent skin cancers in some patients. 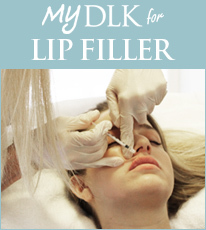 Kellett, who runs the Toronto dermatology clinic DLK on Avenue, agrees that retinyl palmitate is safe, particularly in topical forms. “You would have to ingest — and I mean swallow — enough retinyl palmitate to reach vitamin A-poisoning levels, to reach the point where you could harm a fetus … And that would be almost impossible to do with a topical application,” she said. As for another ingredient often found in sunscreens, oxybenzone, which the EWG calls a hormone-disrupter, Kellett says once again, there have been no peer-reviewed studies that have found the ingredient unsafe. Both she and the AAD note that oxybenzone has been used for decades without problems. “You would think we would have seen something (a problem) by now,” Kellett said. She said reports like the ones released this week only lead to misinformation and fears about sunscreen. Instead of worrying about theoretical risks of sunscreen ingredients, Canadians should really be more afraid of skin cancer. “The risk of skin cancer is very, very high compared to the risk of using any of these drugs,” says Kellett. While Kellett feels assured that sunscreens are safe and effective, she says people should never have a false sense of protection from them, noting that sunscreens are just one way to avoid sun damage and skin cancer. Sun lovers still should wear a hat and sun-protective clothing when they can, as well seek shade in middle of day. So how should consumers find the best sunscreens? The first step is to look for a product that has a DIN, a drug identification number, or a NPN, a Natural Product Number, Kellett advised. “That means it’s been registered by Health Canada and they’ve approved the ingredients,” she said. Kellett said there are a surprising number of sunscreens that find their way into Canada that have not been approved. Sunscreens chemicals eventually break down, so don’t not use a product after its expiry date.